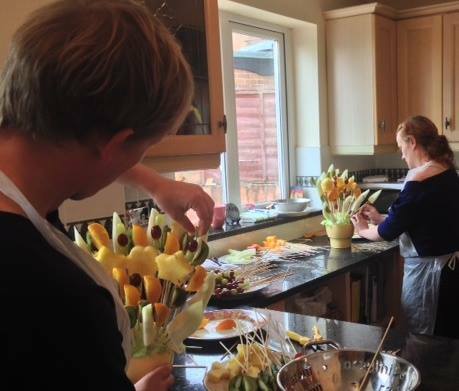 Fruit bouquet training courses held in our commercial kitchen in Wolverhampton. £325 per person, all materials included, lunch included & you get to take your bouquets away with you. 2. 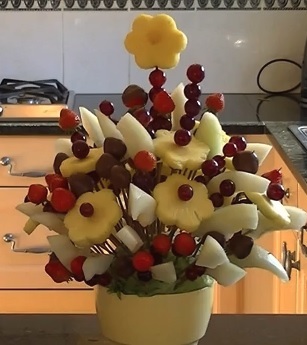 How to choose fruit, cut and carve fruit. 3. Tools of the trade. 4. 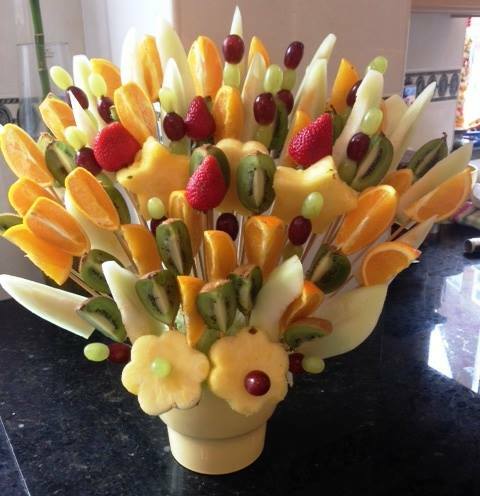 How to arrange a fruit bouquet style. 8. How to create patterened strawberry coatings. 9. 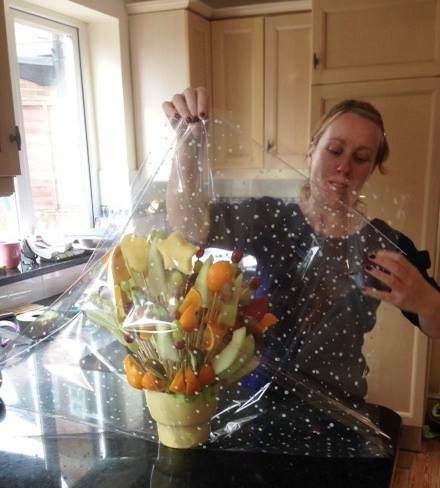 How to arrange a strawberry bouquet. 11. How to make gift bows and finishing touches. .
FREE BONUS FOR ALL ATTENDEES . 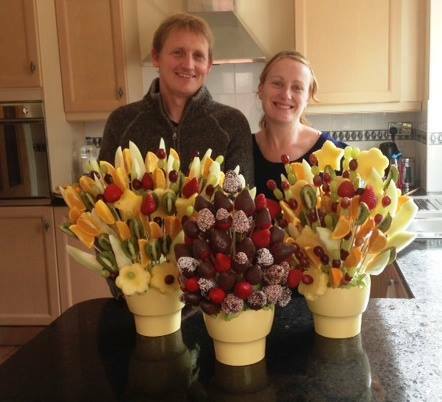 Full unlimited access to the online fruit bouquet step by step video course worth £97. Limited attendees per class date…….